Today I finally used some of the English Ivy Stationery! It's one of the products on the retirement list...I'm sad to see it go. The paper is so pretty. In the annual catalog on page 147 the stationery is displayed with a holder and I've wanted to make this since the catalog came out last year! I can finally mark this off my list of things to do...I made it today and I'm sharing it with you! 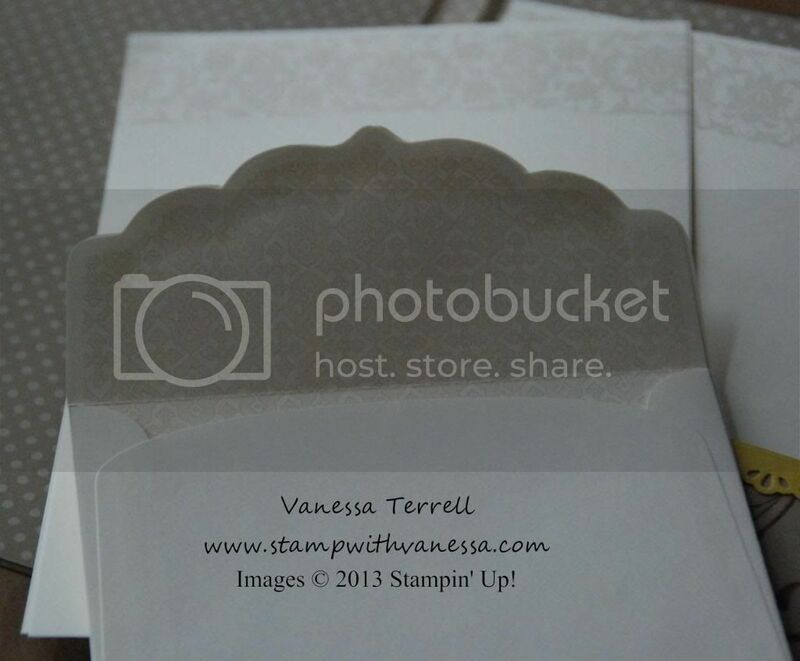 As I said this paper is really pretty and there is a monogram stamp that you can purchase to go with it! I also used the Everything Eleanor stamp set and of course my Big Shot! Here are the finished photos of my project. Here is an inside view! Here is a close up of what the stationery looks like.